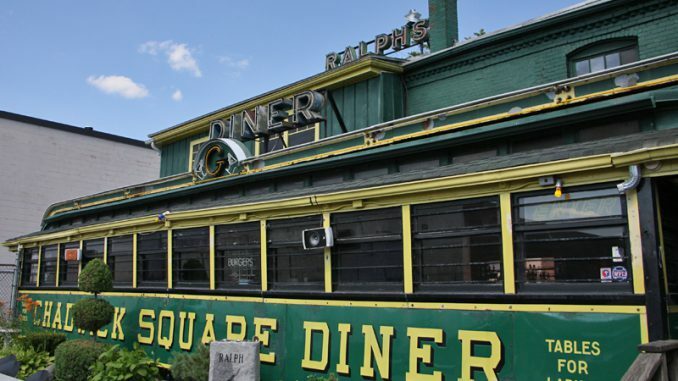 Technically the diner says “Chadwich Square Diner” on the side of it, but this is Ralph’s. It’s a classic! 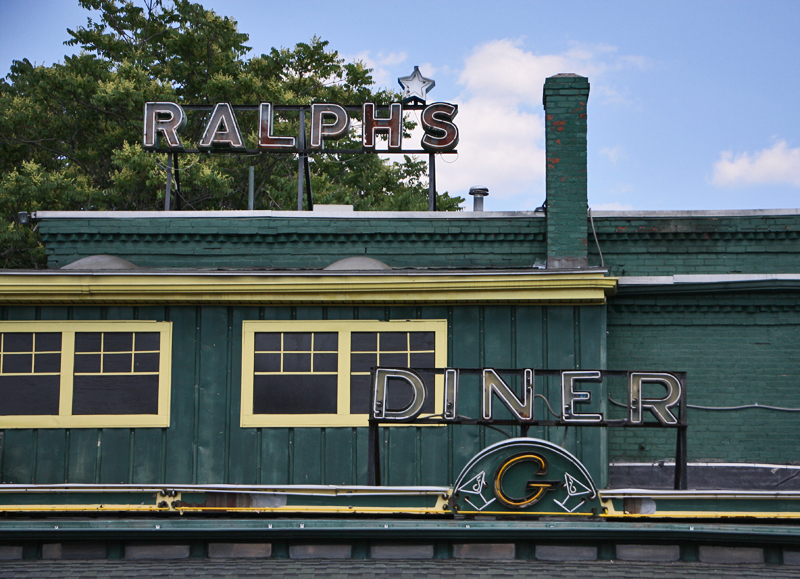 Ralph’s is a bar / night club complex located on Grove Street in Worcester. 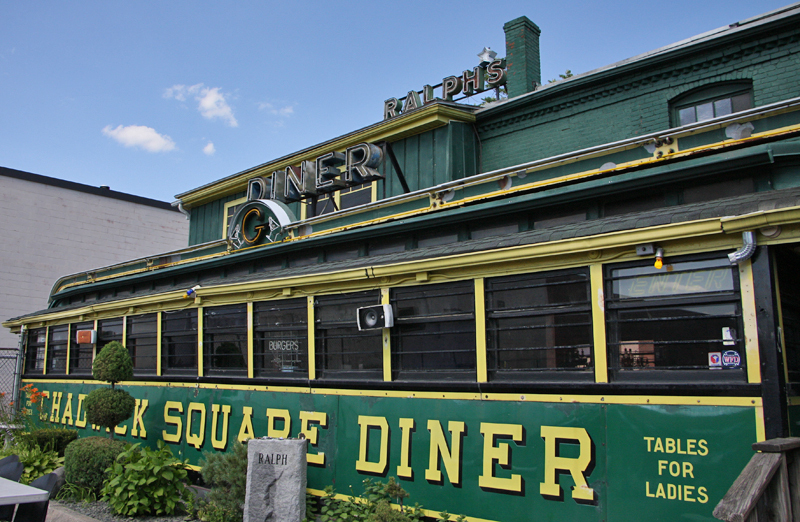 There’s the diner, a lower bar, and an upper bar with stage. There’s also an outdoor seating area where they have great poetry nights as well as karaoke, movies under the stars, and much more. 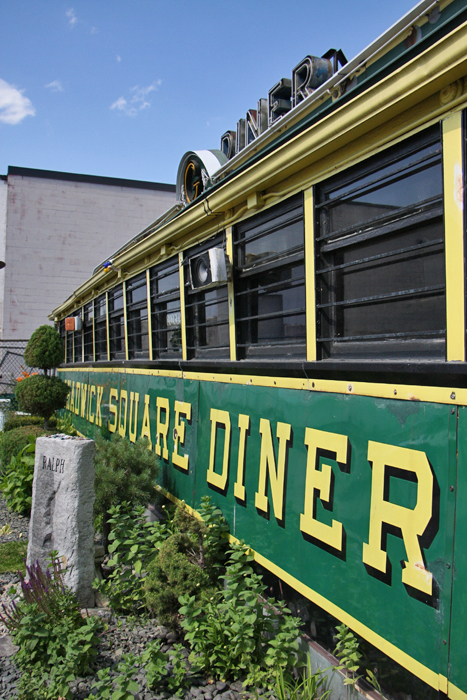 The Worcester Lunch Car diner has a cool level of detailing to it. 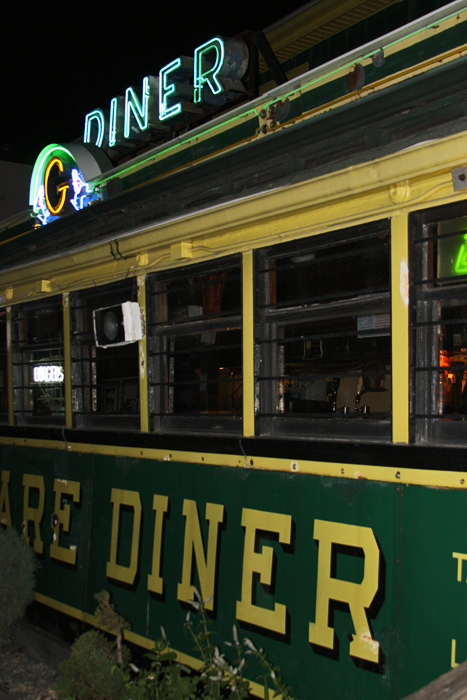 It’s diner #660. Ralph’s began life in 1930 for a couple who ran it at 414 Grove Street – right down from where the Shaws and Starbucks is now. 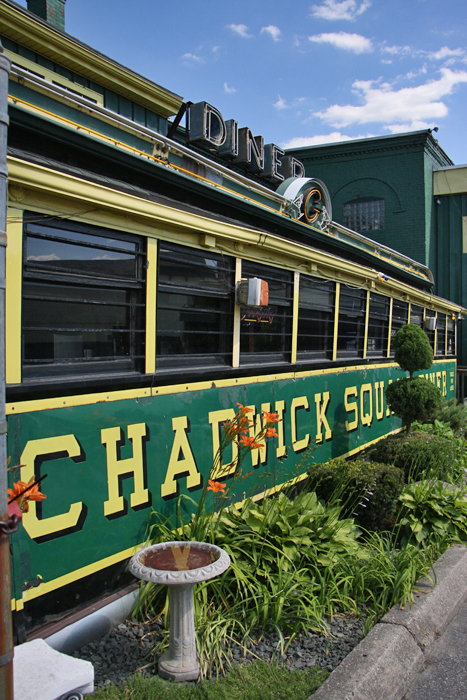 Then around 1955 it moved to 1546 Main Street which is on Route 9 near the drive-in. It was in 1979 that it came here to live as part of Ralph’s. 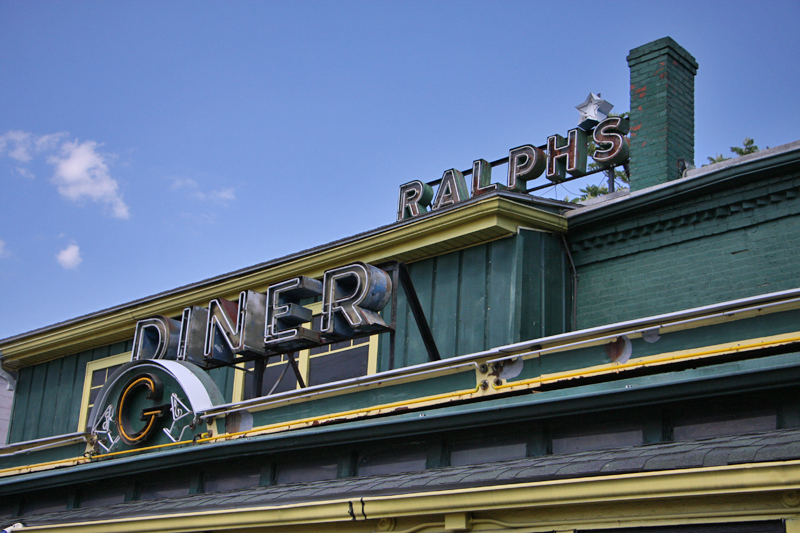 Ralph’s integrated the diner into their overall bar complex, meaning where many diners close early this one is open late-late-late. It sees hard use but is much loved! It has gorgeous detailing and lovely landscaping, too. Here’s an image showing how it’s up against the main building. 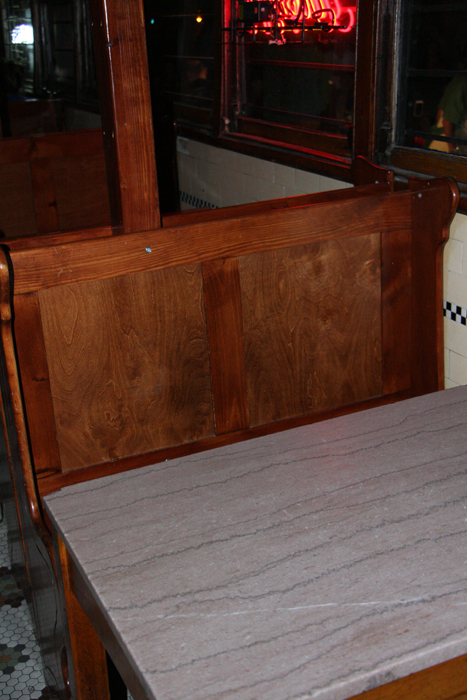 Inside there’s the traditional row of stools plus some plain wood booths. As you might imagine, with this being a late-night bar and nightclub they went with low frills here. 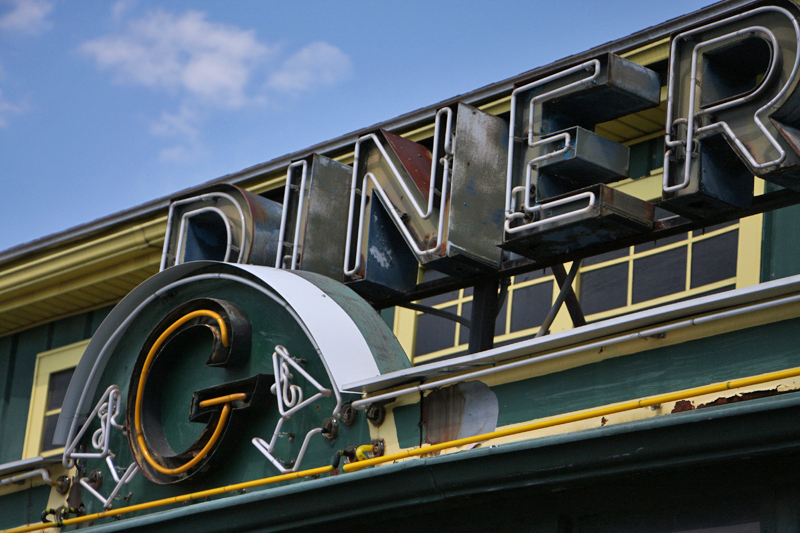 This diner is on the National Register of Historic Places #03001206. A few inside. I don’t like taking photos of people especially at a place like Ralph’s so I didn’t get any of the stools even though I’ve been here a number of times. Here’s a photo with the neon.